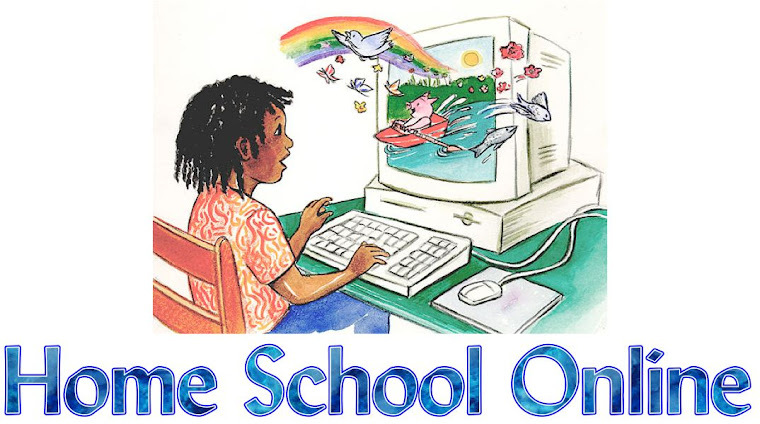 Home School Online: Three Smart Rules for Homeschool Legislation? A Washington Post article this summer mentioned a book that proposes "Three Smart Rules for Homeschool Legislation". The author presents these as "rules for regulating homeschooling that he thinks all sides could accept". As a longterm, committed homeschooling parent, I don't accept them. Judging from the comments on the article, I'm in good company. The article merely suggests that homeschooling parents be required to submit annual reading, writing, and math test scores for their children. Since I do choose to have my own children tested every year (for my own information), it might be surprising that I have objections to even this small amount of governmental oversight. My first objection is based on statistics. Homeschooled students, as a group, already outperform public schooled students on standardized tests in grades K-12. Every study I've ever seen comes to the same conclusion, with homeschoolers scoring an average of twenty percentile points higher than public schooled students. Recent comparisons of SAT and ACT scores show homeschooled students exceeding public school students' scores in every state. In states that require standardized testing of homeschoolers, parents are usually instructed to submit test scores to the public school district. Holding homeschoolers accountable to an institution they are outperforming simply defies logic. My second objection is to the intrusion. This is required annual testing, remember. How much support would there be for legislation that required parents to take their children for annual physicals, an annual dental exam, annual psychological evaluations, or any other tests designed to assess whether the parents were doing their job? Most parents don't need prompting to do these things when needed, and it should be assumed that I'm doing my job, unless there's reason to believe otherwise. It's the good old, American "innocent until proven guilty" philosophy. Why has education been singled out as the one thing parents can't be trusted to provide for their children? My third objection is to the efficacy of standardized testing of young children. Some people simply don't test well. Illness, test anxiety, learning styles, and cultural differences can all affect results obtained. Many children are simply late bloomers. Others might lag a year or two behind their peers throughout their school careers, but they end up in the same place. In addition, these "simple rules" do not allow for measuring the progress of students with special needs, who often can't use standardized tests at all. My fourth objection is to the precedent required testing sets. Certainly it seems reasonable to expect that children will, at minimum, be taught to read, write, and do basic math. Rules tend to breed rules, though, and each year brings new laws. Where the government can require a certain level of reading and math skills, it will be much easier to impose other "reasonable" curriculum requirements. My final objection is that the amount of regulation imposed by a state has no bearing on homeschoolers' achievement. The test scores of homeschooled students in highly regulated states are nearly identical to those of homeschoolers in states with no regulation (and they all outscored the public schools). I've found that new homeschoolers are especially willing to accept and even welcome regulation. "It keeps me accountable," one mom explained. Having been removed from the public school system for so many years, I have to stop to remember that many families consider their child's school to be an authority figure. They don't realize that, in most cases, they can separate from the system almost entirely. I was saddened to see a friend from church, nervous and worried about an upcoming conference with her son's school teacher. Although she is a loving mother who is very much in tune with her children, she knew her parenting methods were going to be questioned again. We who choose to home educate often consider it an extension of our other parenting duties. I don't need to be held accountable for the care I provide to my children, and you probably don't, either.